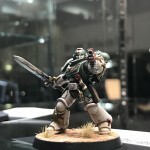 One of my favour parts of Warhammer Fest is meeting the Studio and White Dwarf staff, as well as seeing some of there own model collections. 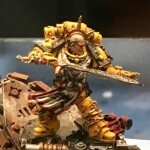 Unfortunately I can’t remember who’s army this is, but I do know they feature in the campaign of fire book. 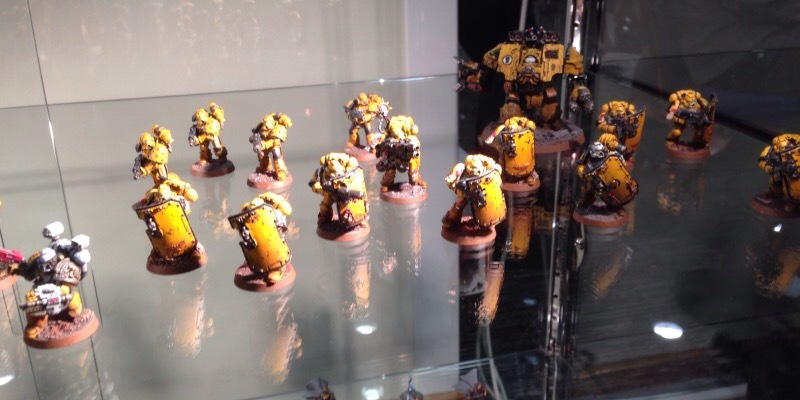 This small Imperial Fist Legion army features a Cataphractii Terminator Squad and a single Tactical squad , mk3 armour shown above. 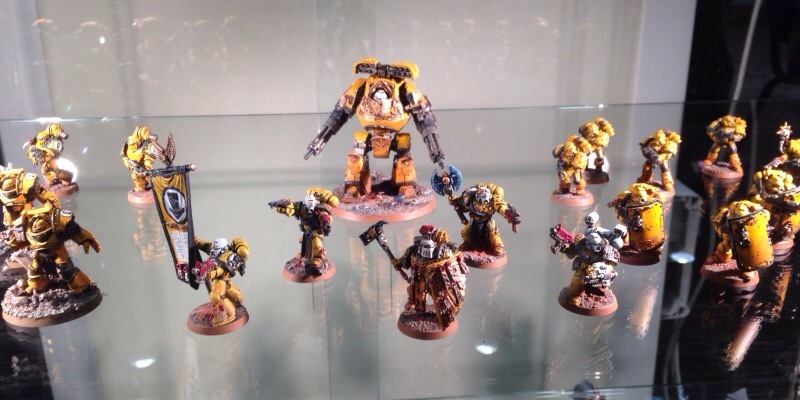 The breacher squad was the start of this Imperial Fist army, the other half of the tactical squad in MK5 power armour is show here, along with a Mkiv Venerable Dreadnought. 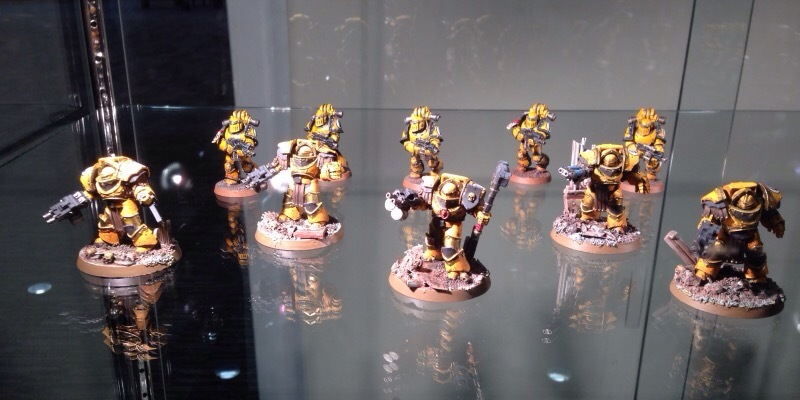 A command squad comprising of the limited edition boarding marine and 2 older games workshop veteran models, leads this army. The contemptor dreadnought armed with twin assault cannons and missle luncher forms a great centre peace to the army. 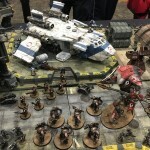 This army shows what can be achieved on a small budget, if you take you time. 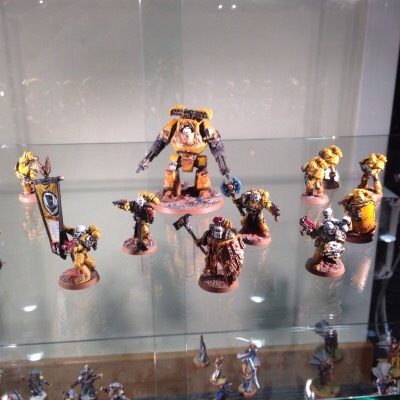 Lots of people complain about Game Workshops prices, while having 100s of unpainted models in boxes. There is no component in this army that can’t be bought for under £35. 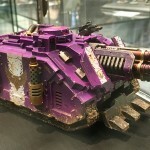 If you chip away at ForgeWorlds lines, painting each item before buying the next, the hobby really isn’t that expensive. Of course the total cost of this army runs in to £100s, but it all started with a 5 man squad for under £30. While Spartan Assault tanks and Storm Eagles look fantastic, it was the little men in power armour that got me in to this hobby. After 20 years of collecting little blue men, it’s still those little highly detailed models that I enjoy seeing the most. 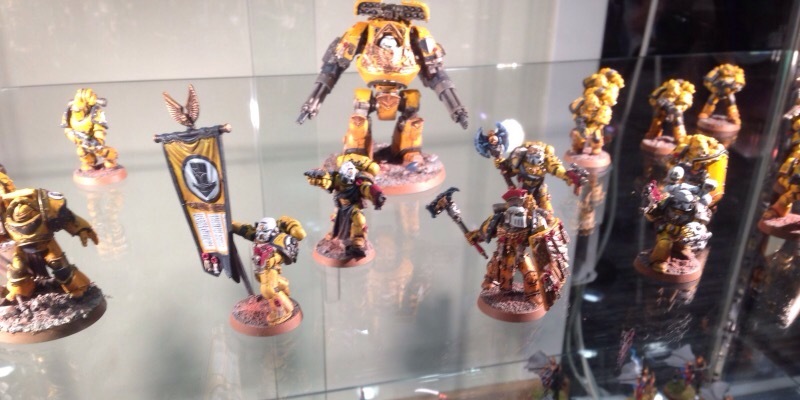 This entry was posted in Horus Heresy, Imperial Fist, Warhammer fest and tagged hores hersey, imperial fist legion, watahmmer fest. Bookmark the permalink.